The way we shop at all supermarkets has changed drastically over recent years. From shopping online, home delivery, express stores to huge supermarkets we all have a unique approach to how we shop. 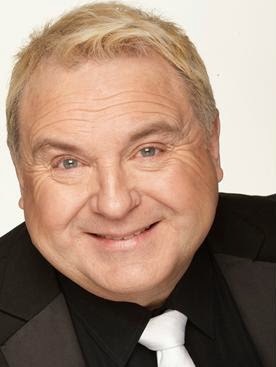 Celebrity astrologer Russell Grant has looked at the shopping habits for each of the 12 sun signs to discover how we undertake our food shopping. Are you focused on brands? Do you only buy products on sale/offer? Or are you a dash and run shopper? ARIES: Everyone needs to eat but not everyone enjoys food shopping. Aries won’t hang around comparing brands and prices or reading labels. They’ll just want to grab a trolley, get into the store and get out again in less than 30 minutes. TAURUS: Loving food as much as they do, Taurus will pay extra for brands they trust. They have a shopping list they always use but can be picky shoppers so what begins as a quick trip to the supermarket can turn into a day’s excursion. GEMINI: Geminis are easily pulled in by seductive advertising and nine times out of ten will end up buying things they don’t need or want. Technology has transformed Gemini’s shopping trips as they happily make use of self-service scanning and checkouts or ordering online to make food shopping easier. CANCER: Shopping for the family feels good and meets the Cancerian’s emotional needs. There’s nothing they enjoy more than choosing food and household items while arranging their trolley so everything fits in neatly and nothing gets squashed. LEO: Whether it’s for clothes, food or jewellery, Leo loves to shop and lives for the sales. There’s always the option of shopping on-line but Leo would rather experience the sights, sounds and smells of the supermarket than to have their shopping delivered to their door. VIRGO: From shopping trolleys with squeaky wheels to crowded aisles and long checkout queues Virgo can find plenty to complain about. They’ll have their own scheme for making shopping more tolerable such as always using the same supermarket and knowing every product in every aisle to make navigating the store quick and simple. LIBRA: The shopper who stands for hours comparing 50 different types of cereal before deciding to head for the dairy aisle and opt for yoghurt instead will be a Libran. They will also spend hours checking sell-by dates on every item. Even picking the right lane to stand in at the checkout can be a major dilemma. SCORPIO: There’s no fooling a Scorpio who won’t be tricked into buying something they don’t need just because it’s on sale. Since food shopping can be a time consuming process Scorpio will have worked out the best times to shop so as to cut time wasted finding a parking space and walking around the store. SAGITTARIUS: Sagittarius finds any excuse to postpone food shopping. Once in the supermarket, they’ll do anything to speed up the process including pinching ideas from another shopper’s trolley rather than searching shelves to find an item they suddenly remember they need. CAPRICORN: Capricorn will have their grocery shopping perfected into an efficient, streamlined process. Even at the checkout they will load items onto the conveyor belt in baggable order only to then hold up the queue by producing a discount coupon for every item bought. AQUARIUS: Even the cleverest salesperson would find it hard to intuit an Aquarian’s shopping habits. Little and often will be Aquarian’s likely shopping style or better still they will click and collect or shop online and probably haven’t touched a trolley in years. PISCES: Pisces can’t resist a bargain and will stock up on anything that’s on sale whether or not they need it. Because they would hate to hurt a salesperson’s feelings they can be easily talked into making purchases. They tend to shop only when they need something but will come away with a trolley load of stuff that wasn’t on their list. This Aquarian sends her Leo and Libran partners out to do the supermarket run rather than go herself. That's kind of like 'click and collect' isn't it?